Rolls-Royce’s vision of a remote operations centre. Rolls-Royce on Wednesday announced that it will establish a research and development centre focusing on autonomous and remote-controlled shipping in Turku, Finland. The illustrious motor vehicle manufacturer reveals in a press release that it plans to concentrate its efforts to develop land-based control centres and the use of artificial intelligence in autonomous and remote-controlled shipping in the roughly 175,000-resident city in South-west Finland. Finland was selected as the location for the research centre primarily due to its robust maritime cluster and expertise in information and communication technology, Sauli Eloranta, the senior vice president of technology management and innovation at Rolls-Royce Marine, told Kauppalehti. Another key factor was a significant research funding granted by the Finnish Funding Agency for Innovation (Tekes) on 8 March, 2017, according to the press release. Rolls-Royce also announced that it plans to invest some 230 million euros worldwide in the development of intelligent shipping technology. A substantial share of the investment will be made in Finland, Eloranta revealed to Helsingin Sanomat. The announcement was met with joy both in Turku and Helsinki. Anne Berner (Centre), the Minister of Transport and Communications, states in a press release that the research and development centre will consolidate the country’s position as a developer and user of autonomous transport solutions and as one of the world’s leading modern maritime technology manufacturers. Aleksi Randell, the Mayor of Turku, estimated similarly that the decision is testament to the expertise in Finland. “This is excellent news. For a global technology company such as Rolls-Royce to locate a research and development centre in Turku is a victory for us and all of Finland – and first and foremost yet another accolade for the world-class expertise in Finland,” he says in a press release. Rolls-Royce's decision to establish its facility in Turku adds a sense of urgency to the plans to improve the availability of higher education programmes in engineering in the region, according to the press release. 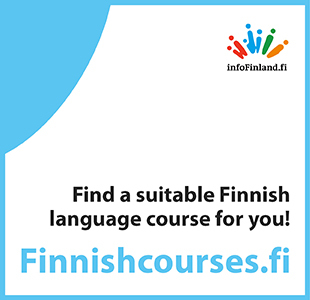 The Technology Industries of Finland has estimated that the demand for highly-educated professionals in the region will almost double in 2017–2021, to an estimated 850 per annum.